Plug into our API services to get real-time decision intelligence. It is flexible with configurable access to real-time rate data from hundreds of sources for easy integration. Use powerful machine learning and big data to see likely rate changes in your competitive set. 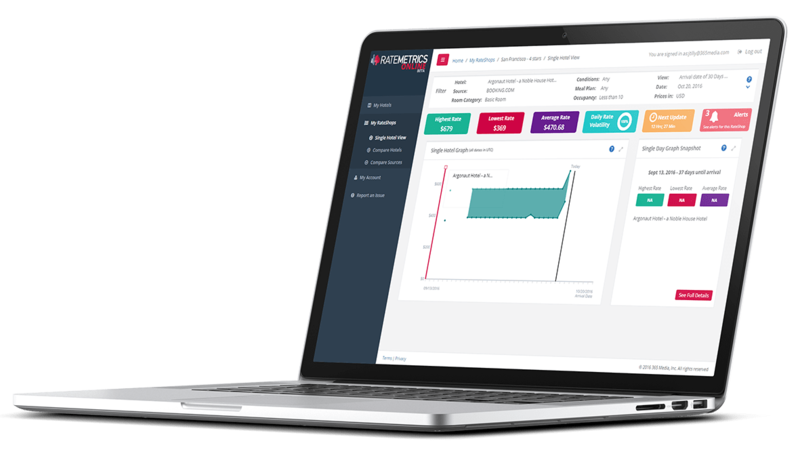 The Ratemetrics Forecasting Engine gives you insight into directional rate changes so you can act with confidence. See Forecasting in a Free Trial now. 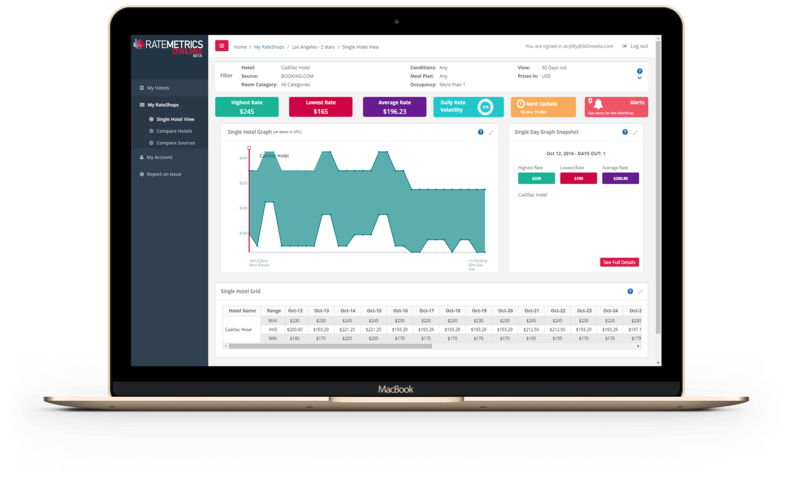 Ratemetrics On-Demand rate refreshing means you can check competitive rates as they are NOW, so you can make change decisions with confidence. Schedule refreshes when you want them. Ratemetrics Smart Benchmarking means you compare your rates with the right competitive packages. Smart classification means you can identify the right compset straight away. Find out more about Smart Benchmarking or test it for yourself in a Free Trial now. Plug into the most powerful, fastest and smartest pricing decision support system available for hotel managers. You can create a compset/rateshop up to 10 properties to rate track; get full access to analytics, forecasts and the powerful filter for rate-plan and room mapping and comparison.